Now that the 4th of July has come and gone, many of us find ourselves feeling the downside of the summer’s climax. Many of us look forward to family, fun, and fireworks, and then get a little depressed about the hum-drum of summer work, followed by the constant chat of demanding back-to-school preparations. Sometimes this downside can be difficult to deal with. So, we came up with some ways in which you can find something to look forward to, and why it benefits your mental health. So, your extended family is gone, but there are several weeks of summer left before the next holiday or scheduled time off of work. 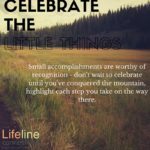 Rather than count on that next Labor Day holiday to get you through, take time to look forward to and relish the little things. You may only have two (or for some, one) days off a week, but use that day to look forward to something fun or energizing. Does your child have a sporting event? Is there a new restaurant you’ve wanted to try? These little things can be great boosters week after week. While you should look forward to these things, make sure you keep a realistic outlook. That new restaurant might not be as good as you thought, but the anticipation of trying something new can be exciting anyway. If you are dying for something to celebrate, create it! Take advantage of the new trend in hashtags: #national________day. There are numerous: national donut day, national sibling day, national pet day, etc. Take a picture and do something fun, even if it’s not a big event. Invite your friends to join you. Go to a new store opening and then offer your opinion or critique on yelp. These are small, hobby-type activities, but they can be great ways to fill up your spare time and give you something to be excited about when nothing big will happen in the next couple of months. Have a block party or a barbeque with your friends or family, or even make it a weekly event. They don’t have to be hard goals! Eating healthier is not something that happens overnight, so take advantage of the lull in events over the summer by buying a new ingredient you’ve never tried and find a recipe to use it. Want to be in better shape? Make a goal to get up 20 minutes earlier to walk around the block. Want to be more organized? Make a goal to make your bed every morning. These little goals, when accomplished daily, or weekly, are great ways to build your confidence in your ability to accomplish other, maybe more difficult tasks. We are waiting to help you!